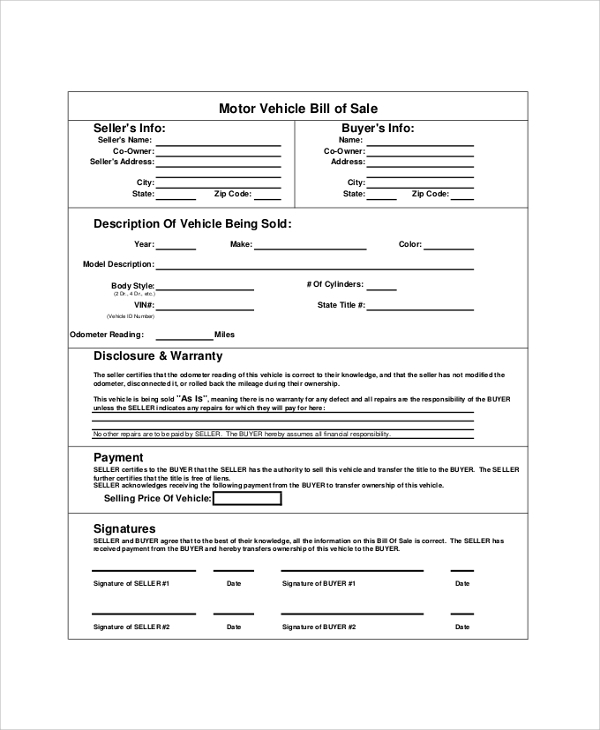 Bill of sale is an invoice that a seller needs to generate upon selling a car to a buyer. This document is considered as the legal proof of the sale. It should mention the date of handing over the automobile; amount received by owner, due amount if there are any other things. The Sample Bill of Sale makes a purchase legally valid and thus, it is important to create such documents with perfection. For that, using the online templates is recommended. Bill of sale is a document that needs to be created with precision. To create this document, you have to follow a proper format of the structure. Here is a sample for you in this regard. Selling your car is a good decision, but for that, you need to create bill sale first. Here is a sample bill of sale for you in this regard. 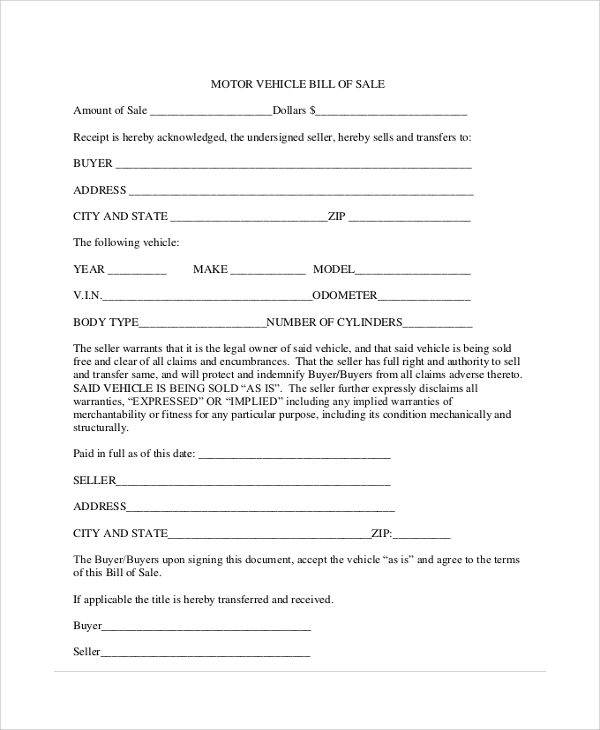 For selling an automobile, you need to produce a bill of sale for the buyer. 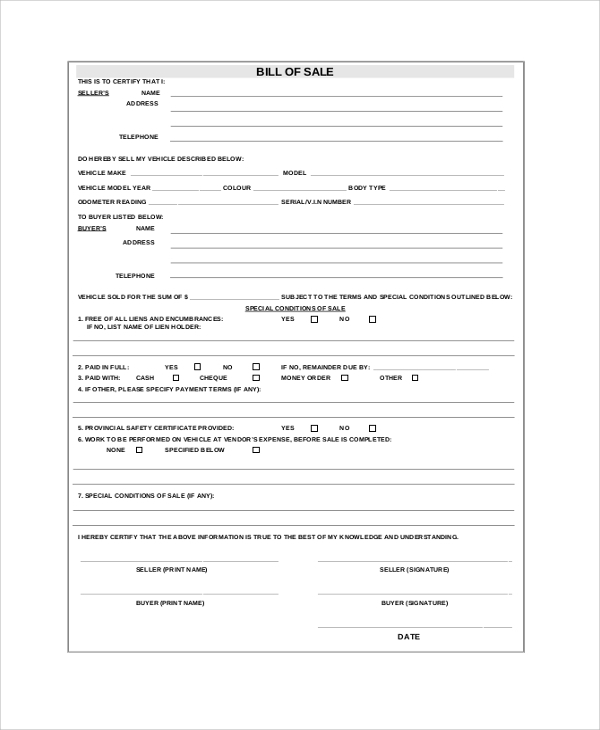 Here is a sample format of a bill of sale for you. 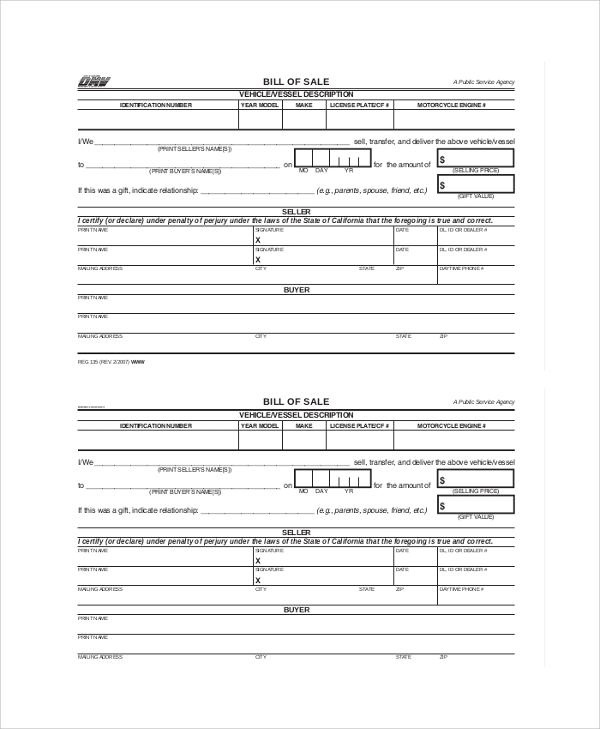 Use this format to create a bill of sale correctly. 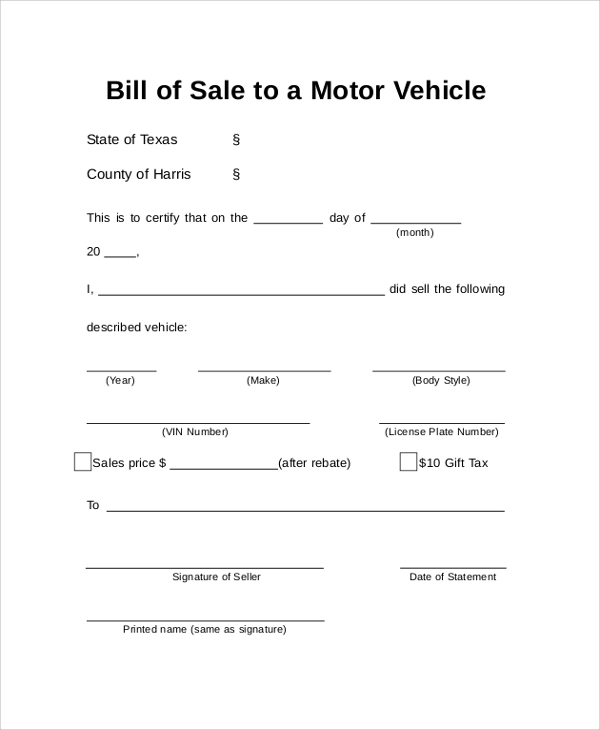 Bill of sale for a car can be considered as a legal document. It holds important records regarding the purchase. Hence, it should be crafted in the proper format following this sample. Who Should Use The Online Auto Bill Of Sale Samples? 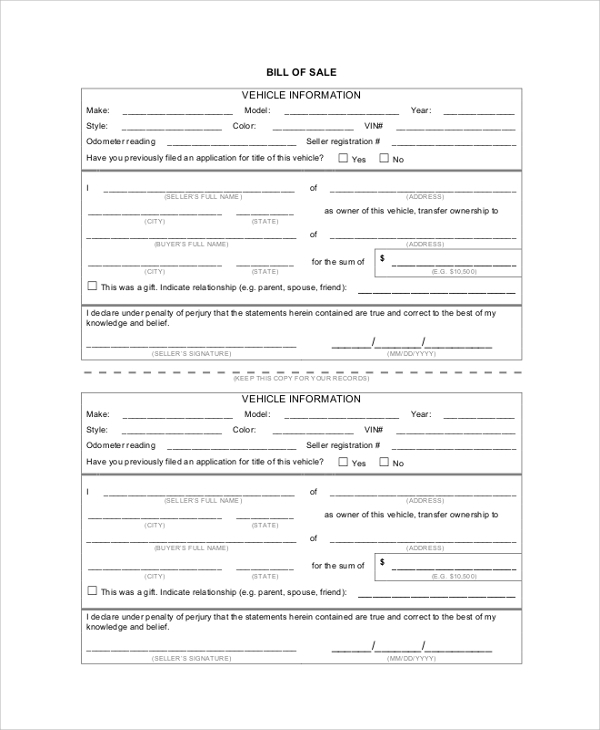 Using the online auto bill of sale is suggested to those, who wants to sell their automobile to someone. For selling or buying things, it is common to produce an invoice to the buyers from the sellers. Using bill or sale for an automobile is also the same. It is all about creating a valid documentation that will help to keep records of a valid transaction. 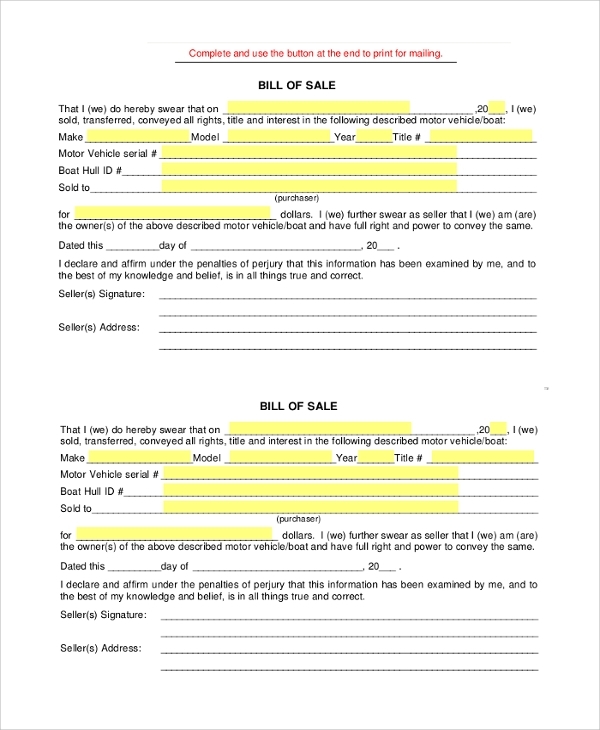 Bill of sale is a legal document, and thus it has to be created with proper formatting. It should mention the date, purchasing amount, due amount, details of the car and many more things. 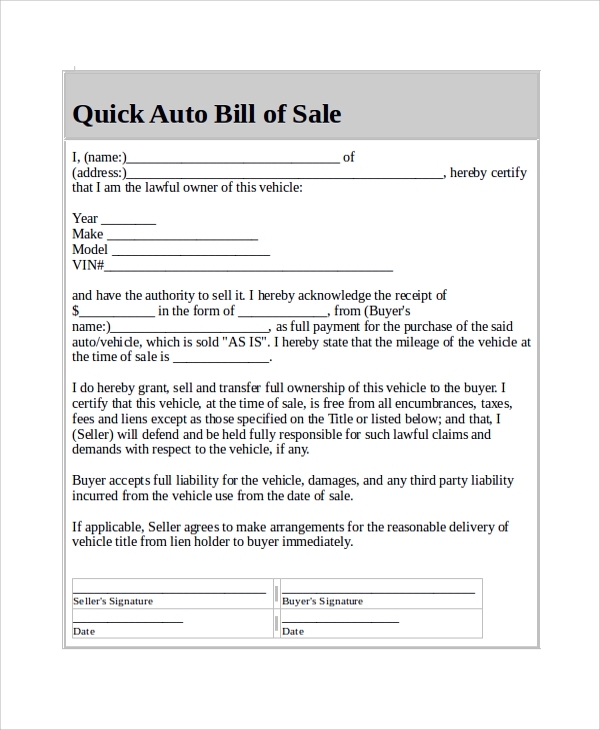 To Create Auto Bill of Sale, use online templates. It is quite a difficult thing to create a bill of sale. You have to be careful on such things, as creating a bill of sale includes following a proper format or structure. The best way of creating a bill of sale is by checking the online samples. Using the samples helps to create such documents within a few minutes.